See more objects with the tag , flight. This is a Poster. It is dated 2010 and we acquired it in 2018. Its medium is archival inkjet print on paper. It is a part of the Drawings, Prints, and Graphic Design department. 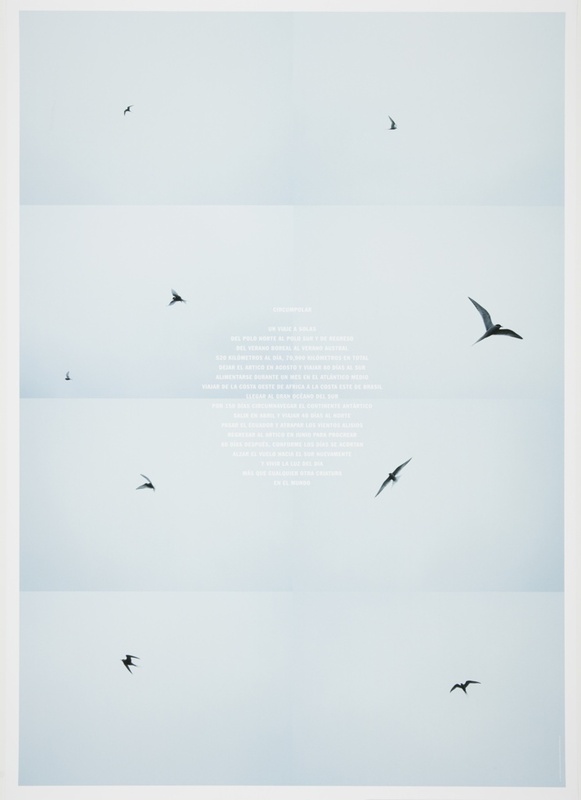 This image of terns in flight surrounding a text box about the tern's yearly circumlocution of the globe. This object was catalogued by Julie Pastor and Carey Gibbons. It is credited Gift of Rebeca Méndez.